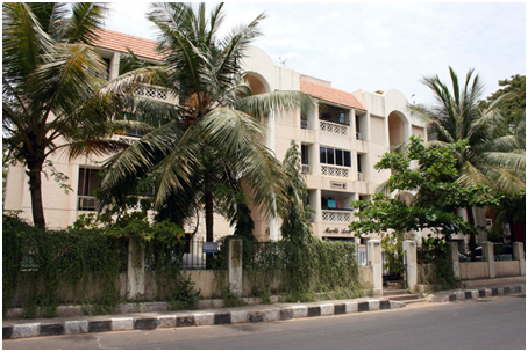 Kilpauk is a residential locality in Chennai, situated just off the Poonamallee High Road in thewest.Chetpet, Egmore, Anna Nagar and Purasawalkam are some of the localities situated nearby.The locality has good condition roads connecting residential neighbourhoods with nearby commercial areas. Kilpauk was a British military cantonment before India’s independence. Kilpaukisoneofthemost well-connected localities in Chennai. Kilpauk has good road connectivity. Poonamallee High Road connects to Koyambedu as well as Chetpet, Numgambakkam, andMount Road. T Nagar, Vadapalini, and Marina Beach are also accessible from here. There are bus standson the Poonamallee high road and Kilpauk Garden Bus Stop.Chennai Egmore andChennai Central railway stations are only 5 km away from the micro market. ChetpetRailway Station, across from Poonamalee High Road, is the main railway station here. Kilpauk is connected to Numgambakkam, Kodambakkam and St. Thomas Mount by rail. The ChennaiAirport is about 18 kms from Kilpauk. The upcoming metro is expected to have a stop at Kilpauk Medical College Station. The 200-year-old Kilpauk Mental Hospital, built by the British, is located here. Other hospitalsinclude the Kilpauk Medical College and Hospital,One Life Mots Hospital, Gremaltes Leprosy Centre, among others. Kilpauk schools include the Seth P D Hinduja Sindhi Model Senior Secondary School, C.S.I Bain School, ChinmayaVidyalaya, BhavansRajajiVidyashram andothers. Average price of an apartment in Kilpauk is between Rs 8,000 per sqft to Rs 10,300 per sq ft. An independent house will range between Rs 11,800 per sqft to Rs 15,500 per sq ft. Plot layouts costs at an average Rs 16,000 per sqft to Rs 20,850 per sq ft. The locality is also home to small scale industries which manufacture packaging materials, chemical supplies, cement supply and export and produce wood carvings. There are many shopping centres, including malls and movie theatres like the Abirami Mega Mall and City Centre. Movie theatres include Ega Theatre and Sangam Cinemas. Looking to buy your new home or perhaps a good rental investment? RoofandFloor has great listings for projects in Kilpauk. Your dream property is just a click away.